Will Homeowner’s Insurance Cover A Slab Leak? 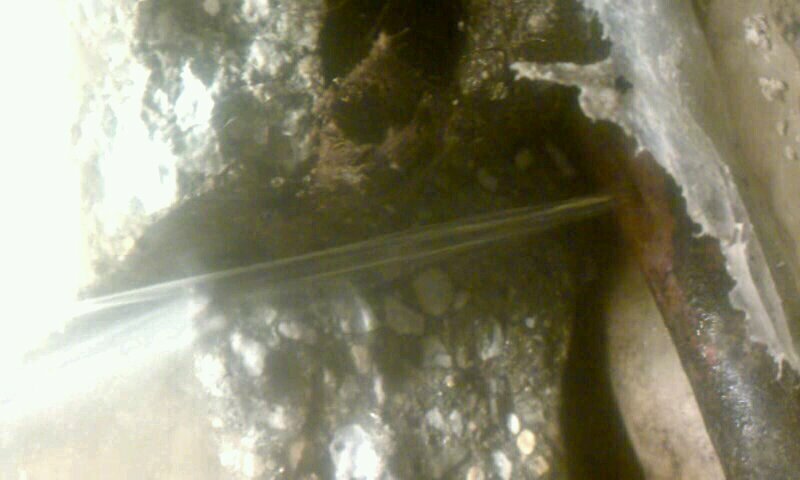 This water leak was found on a service line under a concrete slab floor in a house in Greenwood Indiana. Homeowner’s across the United States have different problems with slab leaks. In areas where temperatures freeze, lines are buried more deeply. Will homeowner’s insurance policy cover a slab leak? The short answer is maybe. If they do cover it, there will be some qualifications, and only a claims adjuster for your company can tell you for sure. Your leak will need to be inside the walls of your foundation. You don’t have yard-owners insurance, you have homeowners insurance so a leak on your service line outside of the foundation will not be covered. Sorry, but on the bright side, if that is your leak problem, it is likely the least expensive kind of hidden underground leak to repair, especially if you live in a part of the country less likely to freeze. If the leak is on the pressure side of your plumbing and the water under the house comes up through the slab and causes damage to your home or belongings, some portion of the work is very likely to be covered. If you do not have damage to the above slab portions of your home, and the leak is inside the walls of the foundation, you may still be in luck. When you call your adjuster, they may say that they will pay to find the leak, but not to repair the leak. Have no fear! This means that the company will likely pay for the leak detection, pay to remove the slab, and whatever fill stands in the way of repairing the pipe. The company will likely not pay for the actual cutting of the pipe, the pipe and fittings to repair the leak, and the labor to repair the pipe. Then they are likely to cover the cost of fixing your home back to the original shape it was in before the work was started. So, will your insurance company cover it? A great question, and while I would love to tell you yes, only a claims adjuster can do that. Most companies will cover the cost of leak detection, and accessing the pipe as well as filling in the hole to access the pipe. This coverage is significantly better than no coverage for slab leaks at all.